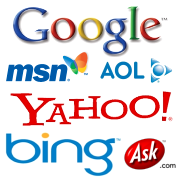 Can your website easily be found online when your prospects type in and search for your company name on Google, Bing, Yahoo and other major search engines? Can your website be found on the first page of major search engines when your prospects type in and search for keywords that relate to your business? Are you getting enough qualified leads from your website and online marketing? Are you doing as much business asyou would like to be doing as a result of your intenet presence? Are you doing enough social networking (Facebook, Twitter, etc), blogging, posting videos, etc to meet, greet and do business with today’s modern consumer who tends to do more business online than ever before? Are you doing all you could be doing to compete with other similar, local businesses for leads online? Do you have a strong internet marketing plan and the know how to carry it out? If you answered “NO” to most of these questions, then chances are you need to say “YES” to attending our Internet Marketing Online Boot Camp where we will teach you step-by-step to establish a strong internet presense so you can totally dominate the search engines and generate all the online leads you can handle! Here’s what you need to know about the training series. Who Should Attend: Anyone (adults or teens) who wants to take their business to the next level and beyond, generate more leads online and dominate their local competitors for select keyword search phrases on popular search engines. Though we talk a lot about real estate investing, the principals taught can be applied to any business that wishes to advertise and generate more leads online. If you want to learn how to market your business more effectively using Internet Marketing (Search Engine Marketing, Search Engine Optimization, Social Media Marketing, Email Marketing, Video Marketing, etc), than this is the training for you! Experience Level Needed: Beginner to Intermediate. You need to know your way around a keyboard and have basic computer and Internet skills. Prerequisites: A computer with speakers, a microphone and an Internet connection. 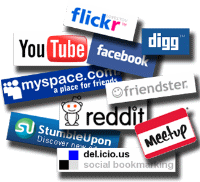 This workshop assumes that you have a website that you want to promote online. If you don’t have a website, this workshop will still be very beneficial to you since we will be establishing Facebook, Twitter and YouTube accounts, a Blog/Website as well as other profiles and pages you can use to promote your business in place of a website or to promote your website once it’s established. Date & Time: Training will consist of nine 2 hour live webinars taught over a 90 day time period. The first training webinar begins on Tuesday, September 27th at 7:00 PM ET. The last training webinar will take place on Monday, December 19th at 7:00 PM ET. The remaining webinars will be scheduled on Tuesdays and Thursdays at 7:00 PM ET throughout the months of Sept, Oct, Nov and Dec. See our schedule and agenda for scheduled training dates. Please note that these training dates are subject to change if necessary. If You Miss a Training: We will be doing our best to record each and every training webinar and make them available to you on AtlantaREIA.com in our Member Only Area a few days after the live webcast. This will enable you to watch a replay of the training online at your leisure, 24/7/365. Click here to see an example of the 90 Day Extreme Internet Marketing Makeover for 2010 replay pages. The deadline to request a refund for your registration is by September 23, 2011 at 5:00 PM ET. Registration cancellation requests received prior to the September 23, 2011 deadline will be eligible to receive a refund less a $10 service fee. Cancellation requests received after the September 23, 2011 deadline will NOT be eligible for a refund.